Why a Noziroh Systems ‘Quick80’ 80% Lower? We wanted to come up with an 80% AR-15 lower design that would allow the average person to quickly finish and assemble without expensive specialized equipment such as CNC or manual mills. Our innovative ‘Stacked Frame’ design we’re calling the ‘Quick80’ is easy to finish by drilling the fire control and takedown pin holes yourself with a drill press or hand drill. Just measure, mark and drill the holes. What is included with the ‘Quick80’ kit? 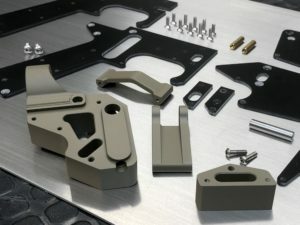 Our 80% lower kits include all components required to build a stripped lower. Side frame plates, threaded spacers, buffer tube mounts, 3D components, and screws. 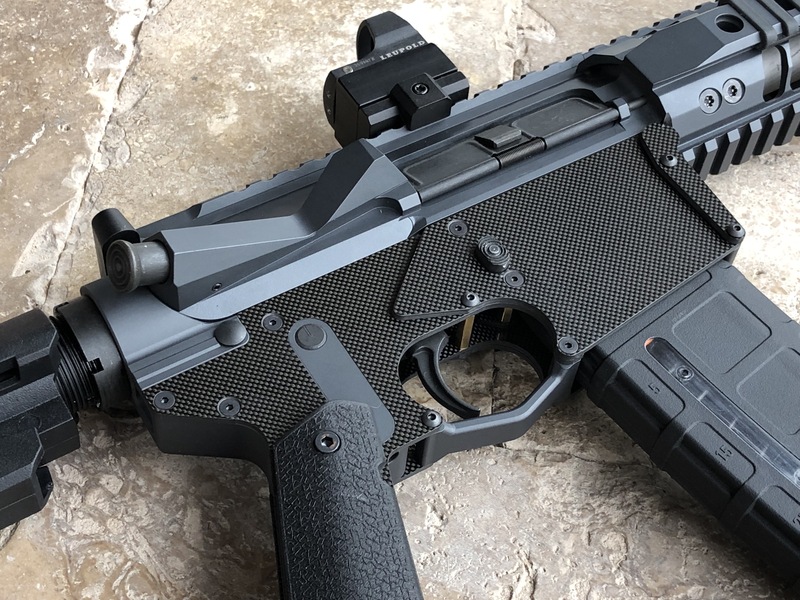 The kit does not include items required to finish such as fire control group, selector, springs, detents, mag release catch, buffer tube nuts, etc. Lower parts kits can be purchased from your favorite gun shop. Our lowers use 1911 A1 grips which are also not included. 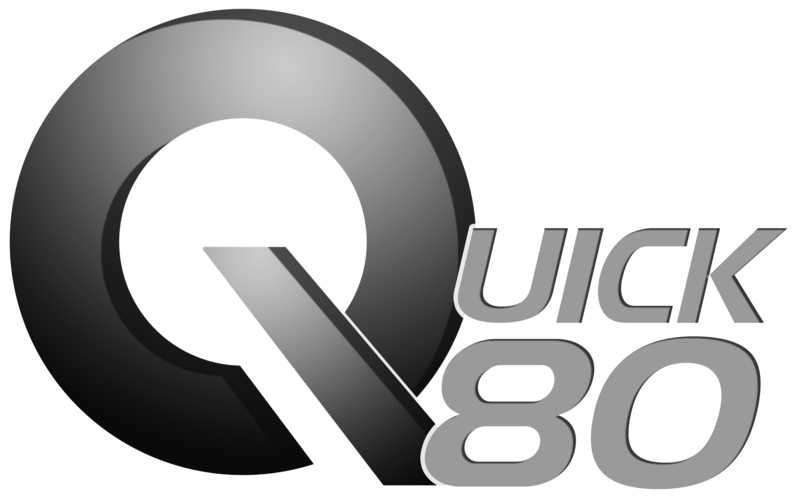 When will ‘Quick80’ lowers be ready to order? We’re still in development. Our prototypes have been made and we’re in the testing phase now. Once we have perfected the design we will send sample articles to the ATF and request a review and Determination Letter. 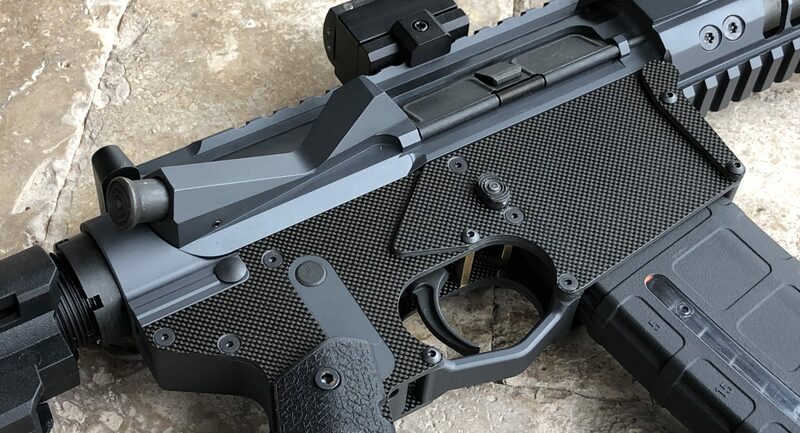 The Determination Letter will clarify the ATF’s position on our product as to whether or not it would be considered a regulated firearm in it’s kit form unfinished state. We expect we will receive positive news with the Determination Letter, but the ATF works slowly. It make take several months. Thus, we do not expect to begin shipping before spring of 2019. We’re still working that out. It will be more than $150 and hopefully less than $200. Yes, that’s a bit more expensive than a typical unmilled billet 80% lower, but the advantage is our kits can be finished with a hand drill and basic hand tools in an hour’s time. Our system has more parts which necessarily increases our costs. If you enjoy building and like the idea of an ‘off the books’ AR lower receiver, we feel the price point is right in line with the value our product will offer. If you want to be notified when ‘Quick80’ kits will be ready for ordering, fill out the form below.